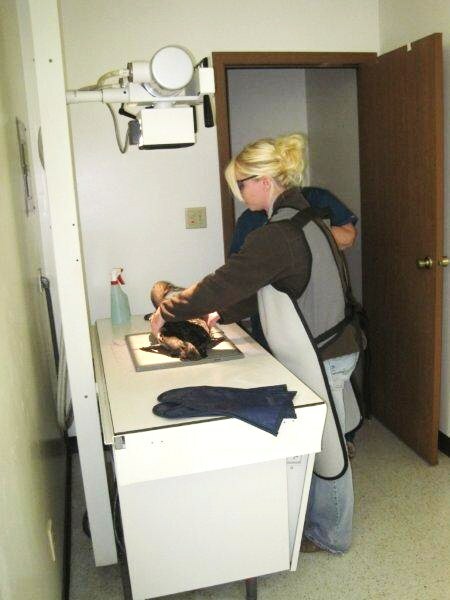 When I last wrote we had one young Common Loon in the REGI clinic. She came in wrapped in fishing line. 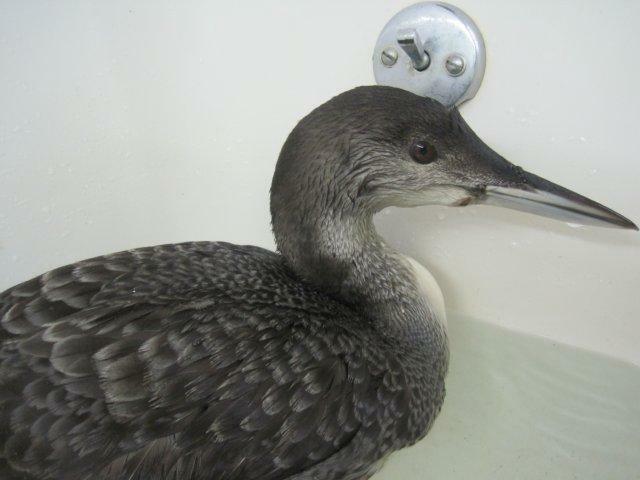 On Thursday we admitted another Common Loon patient. 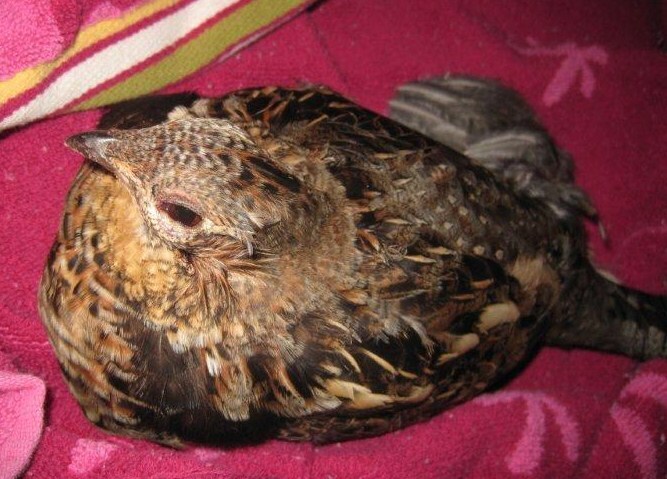 This is also a young bird. Unfortunately, loon #2 has lead poisoning. Loon #1 is gaining strength and eating well. She remains on one tube feeding a day and is on prophylactic treatment to ward off aspergillosis. She is also on antibiotics. 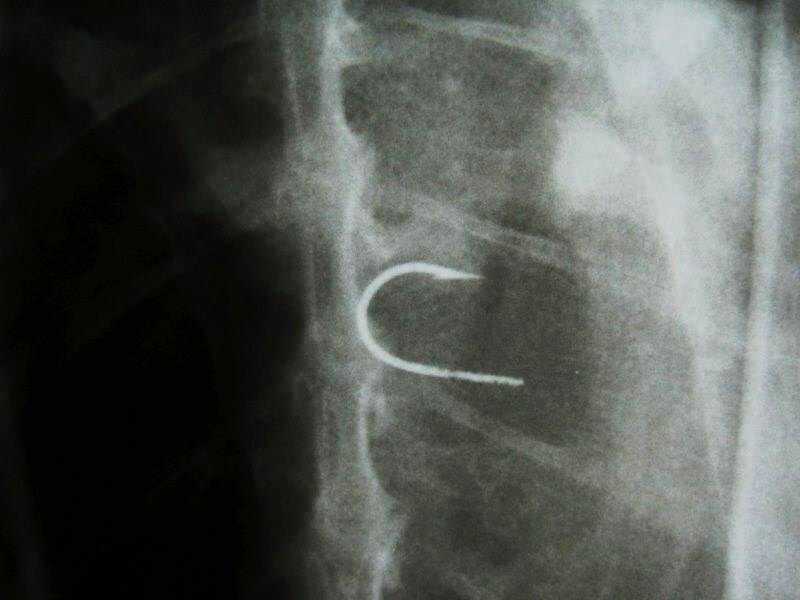 The hook has caused an infection in her abdomen. The great news is the hook appears to be degrading within her. With a little luck and her strong digestive system, the hook should disappear over the next few weeks. We are so grateful hooks are not made of lead. Loon #1 was admitted with a weight of under 5 lbs. She is now closing in on 7 lbs! We are cautiously optimistic she will be a wild loon within a few weeks time. 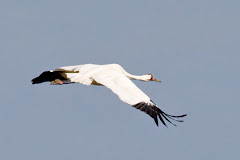 The plan is to fly her to the coast of Florida to be released. Common Loon #2 is much weaker than our first loon. She has lead poisoning and is under treatment with CA EDTA to chelate the lead from her blood. The good news with this loon is the x-ray does not show any lead in her digestive system. 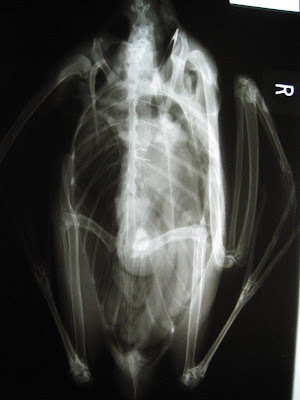 We hope once the lead is chelated from her blood and bones, she will begin to recover as well. She is being tube fed exclusively as she is unable to eat on her own at this point. Having said that, she grabbed a minnow and ate it early this morning. YEA! 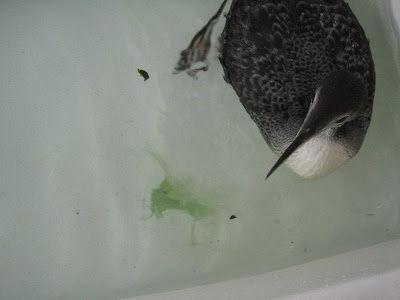 If anyone has access to and can donate live minnows or small fish for our Common Loon patients, we would greatly appreciate it. A Ruffed Grouse was hit by a car near Elcho, WI. She was fortunate a caring person scooped her up off the road and brought her into REGI for care. Thanks Rachel! I have been traveling doing programs this past week. On Wednesday I was honored to do a presentation for the Coulee Region Audubon Society and the La Crosse Sierra Club in La Crosse, WI. They are two fantastic groups. Talking to groups involved in the environment is exciting for me on many levels. Many thanks to them for inviting me. I left La Crosse with many new friends. We continue to prepare for winter at the REGI faciliy.